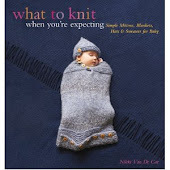 What To Knit When You're Expecting: O.W.L.S. and o.w.l.s. Done! At last they are done! 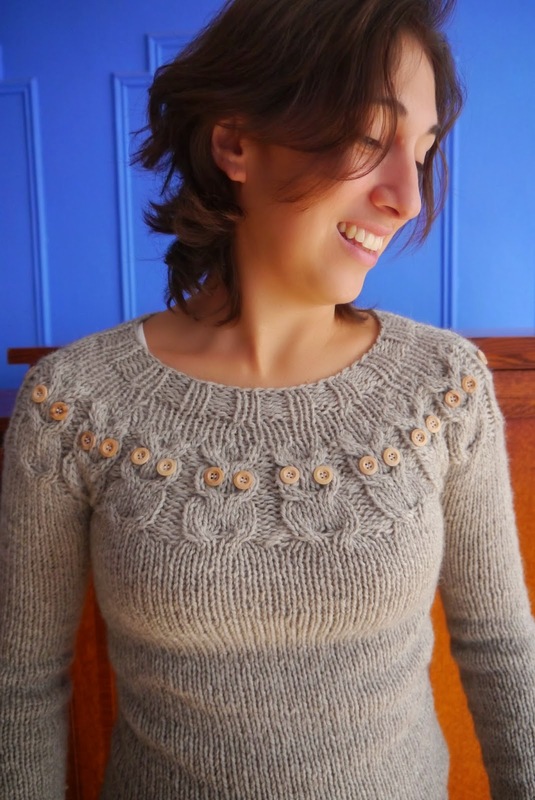 Owls and owlet by Kate Davies, and a joy to knit--I do so love Cascade Ecological. The button-sewing just about killed me--I bought Melissa Jean out of her little wooden buttons at Rhinebeck, and you can see one of my owls looks a bit derpy there, but there's no way I'm sewing it on again. 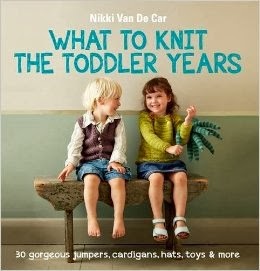 The sweater fits me perfectly--as I was knitting it, my friend said, um, honey, that looks a little tight. And it is, it's very snug, but it's flatteringly so, and it's very comfortable. And for once in my life I made the sleeves long enough! Willow's looks like it'll fit her for about half an hour, which is a shame but not entirely unexpected. My size choices were either 3T or 5, and I made the 2-3T with a little extra room around the belly and slightly longer sleeves. Once again, though, my sleeve-estimates were off, and I think I could have made them even longer. Ah well. 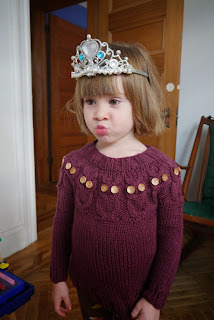 I've always loved this pattern, and have admired every single sweater I've seen, but I would never have gotten around to making it were it not for my little owlet. 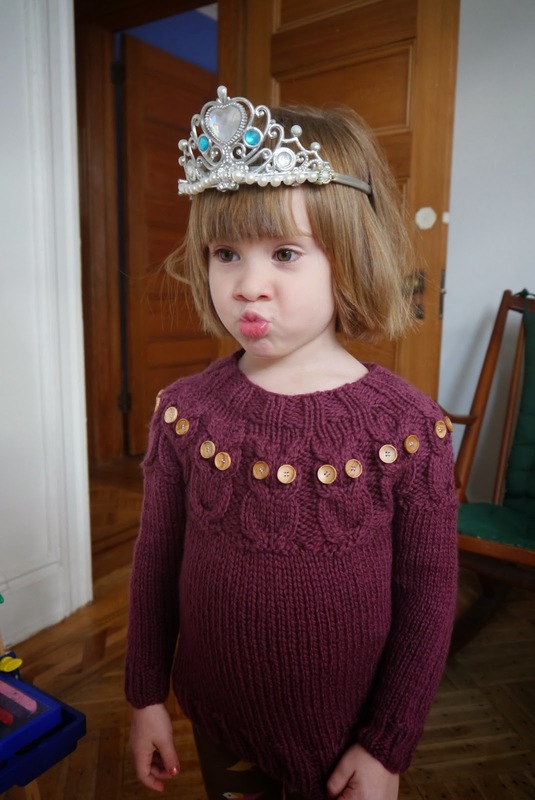 Could I have just made one for her, and skipped the overly-precious matching mother and daughter sweaters? Sure, but it wouldn't have been as much fun. And as you can see, we had fun taking pictures, too. The automatic setting on my camera is a blast.